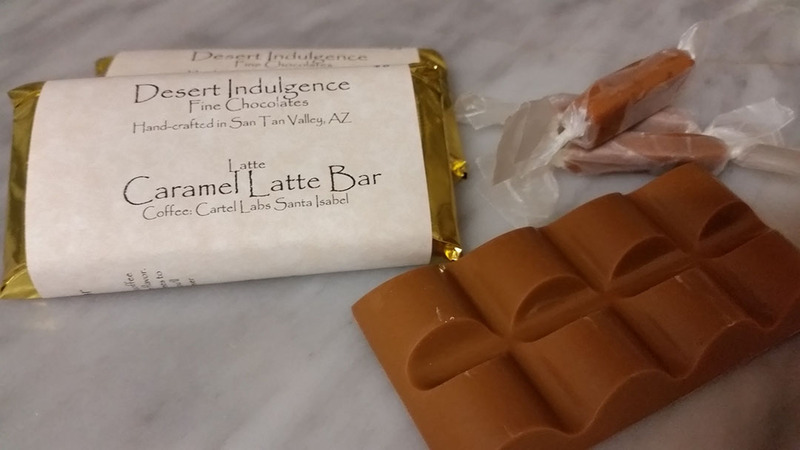 The first in a new line of chocolate products from Desert Indulgence. 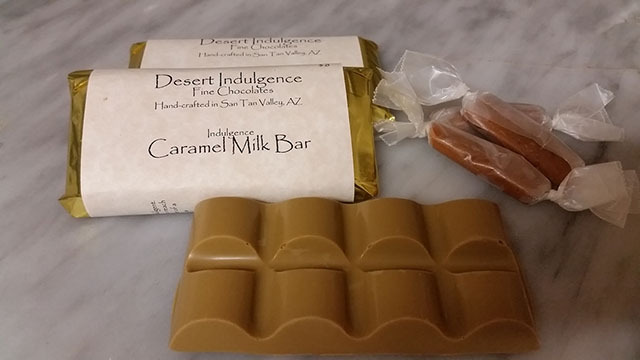 We make our indulgent Milk and White Chocolates and add coffee to the mix. A delicate and smooth blend of coffee flavor mixed with the milk and chocolate flavors to deliver the best latte you've ever eaten. The Caramel Latte bars have had the milk roasted prior to refining into chocolate and Tempe's Cartel Coffee Labs Santa Isabel coffee added for the latte flavor.